John Stammers has a poetic mind original enough to read the most mundane and familiar events as great portents and wonders, and an eye clear enough to uncover the surreal when it's right under our noses. Stammers' third collection is a vast map of an imaginative space that coincides with the known world, but radically changes the way we perceive it. Interior Night sees a restlessly eclectic mind engaged with the whole range of human creation, from our cultural icons to our cultural detritus. There are also dramatic monologues from the dark worlds of poverty and addiction, as well as typically unsettling run-ins with the shades of Rimbaud, Sterne and Keats. Stammers has focused all his celebrated daring and oblique strategie to produce a book of great emotional candour and seriousness. John Stammers read philosophy at King's College London and is an Associate of King's College. His first collection, Panoramic Lounge-Bar, was awarded the Forward Prize for Best First Collection 2001 and shortlisted for the Whitbread Poetry Award 2001. His second collection, Stolen Love Behaviour, was a Poetry Book Society Choice. He was Judith E. Wilson Fellow at the University of Cambridge. He is a creative writing tutor and freelance writer. 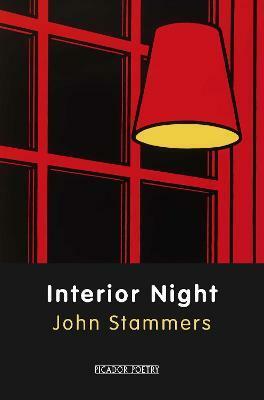 His latest collection, Interior Night, is published by Picador, and he is the editor of The Picador Book of Love Poems. He lives in Oxfordshire with his wife and their two sons.